Bitcoin’s 28 percent drop this week has turned the tide in favor of the bears, but a sustained break below $8,000 looks unlikely in the short-run, the price charts indicate. Having registered losses for four straight days, CoinDesk’s Bitcoin Price index (BPI) fell to a one-month low of $8,371 in Asian hours. The decline was in line with the bearish continuation pattern seen on the bitcoin (BTC) charts during the U.S. session. The sell-off has pushed the market capitalization of BTC below $150 billion for the first time since Feb. 14. As of writing, the BPI is seen at $8,590. Despite the slight recovery from the session’s low, the cryptocurrency is down 14.5 percent on a 24-hour basis, according to data source CoinMarketCap. Furthermore, most other crypto-market leaders are reporting double-digit losses. For instance, ether has depreciated by 10.11 percent in the last 24 hours, while bitcoin cash, NEO, stellar, and cardano are down 10 percent each. 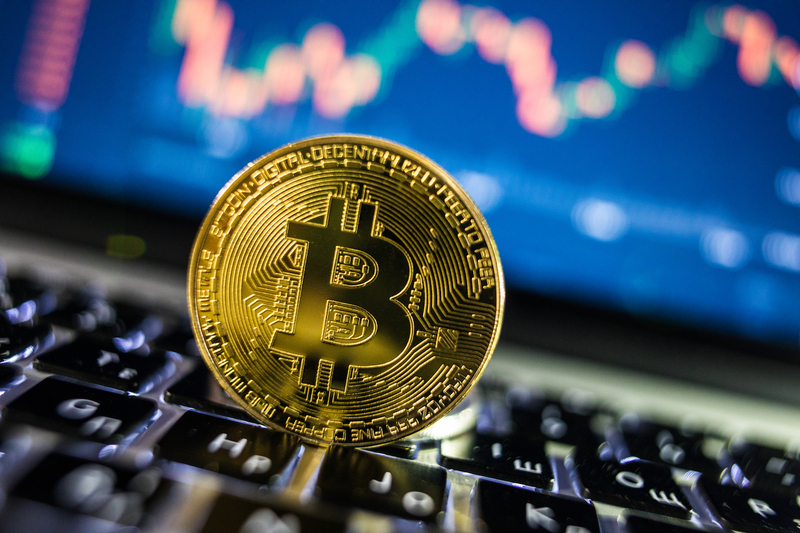 The 28 percent drop in BTC seen this week indicates the corrective rally from the Feb. 6 lows below $6,000 has ended, and the bearish drop from December’s record high of around $20,000 has resumed. So, there is potential for prices to revisit $6,000 going forward. However, chart analysis suggests that BTC could consolidate around $8,000, or witness a minor rally to $10,000 over the next 24–48 hours, before heading down again. History shows bitcoin sees corrective rally after the relative strength index (RSI) shows extreme oversold conditions (well below 30.00). The sharp recovery from $8,342 (prices as per Bitfinex) to $8,800 in the wake of extreme oversold conditions as shown by the RSI indicates the historical pattern is working and may lift BTC prices in the short-term. The 5-day moving average (MA) and the 10-day MA are sloping downwards in favor of the bears. The chart also shows a bearish crossover between the 10-day MA and the 100-day MA. The RSI is biased bearish and is still well short of oversold territory (below 30.00). So, there is plenty room for a further sell-off. The 5-week MA and 10-week MA are trending lower, indicating a bearish setup. A close today (as per UTC) below $9,280 would confirm a double-top bearish reversal and open the doors for a drop to $6,860 (target as per the measured height method). So the primary trend – if you hadn’t guessed – is bearish. Bitcoin looks set for a drop to $6,860 and could possibly extend losses as low as $6,000, as indicated by the bearish setup on the daily chart. However, oversold conditions as seen in the 4-hour chart could yield a minor corrective rally in the short-term to $10,000. Only a daily close (as per UTC) above the 10-day MA (currently seen at $10,527) would signal the sell-off has ended and will likely be followed by a bout of consolidation.